Pass the end of the line through the eye of the hook or swivel, or through the loop of the line to which it is to be joined. Twist the end round the standing part four or five times. Pass the free end through the loop by the eye. 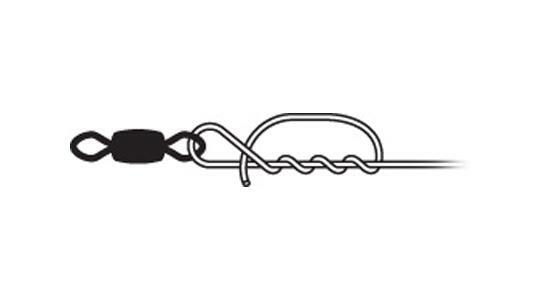 Pass the free end through the larger loop now formed to produce the tucked half bloodknot. Draw the knot together by moistening and pulling on the standing part. As its name suggests, this knot is simply half a bloodknot. 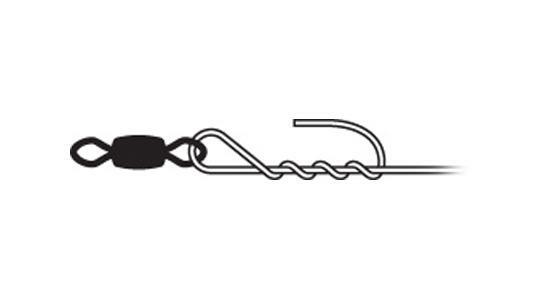 It is used to attach line items such as hooks and swivels, and is reliable and easy to tie. 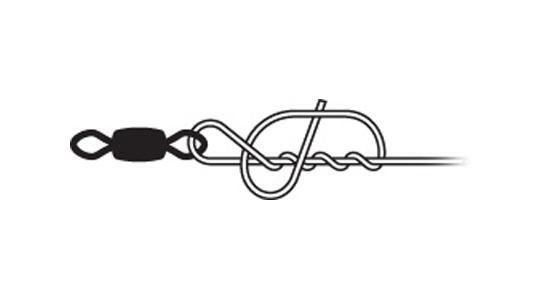 The knot shown here has been tucked, meaning that the free end is passed through the loop which is formed between its coils and the hook or swivel.